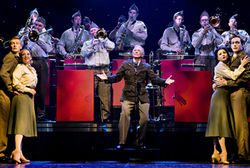 Rave reviews and standing ovations welcome the spectacular West End and Broadway musical to the Alhambra Theatre. Almost 50,000 tickets now sold! 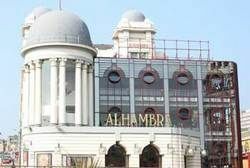 More exciting shows at the Alhambra Theatre in 2017! Tickets for AIDA & LA BOHÈME, ANTON AND ERIN: SWING TIME, JOSEPH AND THE AMAZING TECHNICOLOR DREAMCOAT and THE WEDDING SINGER go on general sale from Monday 18 July. 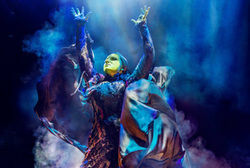 WICKED, the West End and Broadway musical phenomenon that tells the incredible untold story of the Witches of Oz, is pleased to release rehearsal pictures of Jacqueline Hughes (Elphaba), Carly Anderson (Glinda), Bradley Jaden (Fiyero), Steven Pinder (The Wizard and Doctor Dillamond), Kim Ismay (Madame Morrible), Iddon Jones (Boq) and Emily Shaw (Nessarose), who will lead the UK/International Tour cast at the Alhambra Theatre, Bradford from 20 July 2016. We are not wishing the summer away… and why would we with the award-winning musical Wicked casting its magical spell across Bradford this July and August. 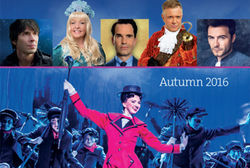 We are equally excited about our autumn season with dance, drama, music, comedy and musicals to suit all tastes. Matthew Bourne, The National Theatre and a classic film Musical at the Alhambra Theatre in 2017! Tickets for THE RED SHOES, DIRTY DANCING and THE CURIOUS INCIDENT OF THE DOG IN THE NIGHT-TIME go on pre-sale to Friends of Bradford Theatres from Monday 13 June and then tickets will go on general sale from Monday 20 June. Watch out! The cabbage-crunching, criminal master-mind GANGSTA GRANNY is coming to the Alhambra Theatre this July! 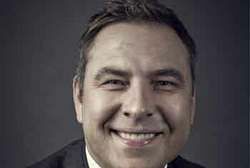 Birmingham Stage Company, the acclaimed producers of HORRIBLE HISTORIES and GEORGE’S MARVELLOUS MEDICINE are bringing their world premiere of David Walliams’ GANGSTA GRANNY to Alhambra Theatre from Tuesday 5 to Saturday 9 July. 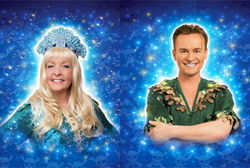 SOAP STAR CHARLIE HARDWICK & S CLUB 7 FAVOURITE JON LEE SET SAIL FOR NEVERLAND IN PETER PAN! 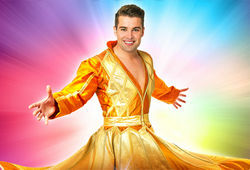 The Alhambra Theatre, Bradford has announced that Emmerdale favourite Charlie Hardwick and pop and West End theatre star Jon Lee will headline alongside Bradford panto king Billy Pearce and actor, singer and presenter Darren Day in the swashbuckling pantomime adventure Peter Pan this winter. 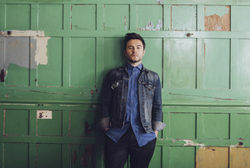 Due to phenomenal demand, Westlife frontman Shane Filan has announced the second leg of his major indoor UK tour for October 2016, coming to the Alhambra Theatre, Bradford on Monday 17 October. In the wake of the huge success of both his ‘Right Here Tour’ in early 2016 and the Right Here album, the Irish pop sensation will be giving fans the opportunity to see him perform Westlife favourites as well as his own recent tracks. As part of this year’s Yorkshire Festival, we are delighted to welcome a European premier to the Alhambra Theatre, Bradford. 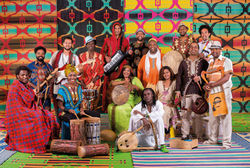 The Nile Project brings together forward-thinking musicians from the 11 countries across the Nile River Basin, to create the new sound of a shared Nile identity. Celebrating the power of music with these feel-good shows! Tickets for The Glenn Miller Story and The Full Monty go on sale to Friends of Bradford Theatres Monday 9 May and on general sale Monday 16 May 2016.